Immune system are the organs and processes of the body that provide resistance to infection and toxins. Organs include the thymus, bone marrow, and lymph nodes. The immune system is the body's defense against infectious organisms and other invaders. Through a series of steps called the immune response, the immune system attacks organisms and substances that invade body systems and cause disease. One of the important cells involved are white blood cells, also called leukocytes, which come in two basic types that combine to seek out and destroy disease-causing organisms or substances. Allergies are a immune-mediated inflammatory response to normally harmless environmental substances known as allergens, which results in one or more allergic diseases such as asthma, allergic rhinitis, atopic dermatitis and food allergies. When the body overreacts to an allergen, such as dust, mold or pollen, it causes an immune reaction that leads to the development of allergy symptoms . Diabetes is a chronic metabolic disorder that adversely affects the body's ability to manufacture and use insulin, a hormone necessary for the conversion of food into energy. The disease greatly increases the risk of blindness, heart disease, kidney failure, neurological disease, and other conditions for the approximately 16 million Americans who are affected by it. Type 1, or juvenile onset diabetes, is the more severe form of the illness. Type 1 diabetes is what is known as a 'complex trait', which means that mutations in several genes likely contribute to the disease. For example, it is now known that the insulin-dependent diabetes mellitus (IDDM1) locus on chromosome 6 may harbor at least one susceptibility gene for Type 1 diabetes. Exactly how a mutation at this locus adds to patient risk is not clear, although a gene maps to the region of chromosome 6 that also has genes for antigens (the molecules that normally tell the immune system not to attack itself). In Type 1 diabetes, the body's immune system mounts an immunological assault on its own insulin and the pancreatic cells that manufacture it. However, the mechanism of how this happens is not yet understood. An immune deficiency disease is when the immune system is missing one or more of its parts, and it reacts too slowly to a threat. Immune deficiency diseases can be caused by medications or illness, or it may be a genetic disorder, which is called primary immunodeficiency. Some immune deficiency diseases include severe combined immune deficiency, common variable immune deficiency, human immunodeficiency virus/acquired immune deficient syndrome (HIV/AIDS), drug-induced immune deficiency and graft versus host syndrome. All of these conditions are due to a severe impairment of the immune system, which leads to infections that are sometimes life-threatening. On the whole, your immune system does a remarkable job of defending you against disease-causing microorganisms. But sometimes it fails: A germ invades successfully and makes you sick. Is it possible to intervene in this process and boost your immune system? What if you improve your diet? Take certain vitamins or herbal preparations? Make other lifestyle changes in the hope of producing a near-perfect immune response? 1. Get enough sleep and manage stress. Sleep deprivation and stress overload increase the hormone cortisol, prolonged elevation of which suppresses immune function. Vitamin C, found in high concentrations in oranges, lemons, limes, and grapefruit, boosts the activity of phagocytes (cells that engulf and digest bacteria) in the blood (and, vitamin C is found in these foods that aren't oranges , as well!). The body can’t store vitamin C, so you need to consume some every day to boost your immune system. Vitamin C is one of the biggest immune system boosters of all. In fact, a lack of vitamin C can even make you more prone to getting sick. Foods rich in vitamin C include oranges, grapefruits, tangerines, strawberries, bell peppers, spinach, kale and broccoli. Daily intake of vitamin C is essential for good health because your body doesn’t produce or store it. The good news is that vitamin C is in so many foods that most people don’t need to take a vitamin C supplement unless a doctor advises it. lymphatic system, our network of tissues and organs that help rid the body of toxins, waste and other unwanted materials. Ginger root and ginger essential oil can treat a wide range of diseases with its immunonutrition and anti-inflammatory responses. Research shows that ginger has antimicrobial potential, which helps in treating infectious diseases. It’s also known for its ability to treat inflammatory disorders that are caused by infectious agents such as viruses, bacteria and parasites, as well as physical and chemical agents like heat, acid and cigarette smoke. Garlic and onions in soup, stews, and other dishes are both sources of potent antiviral substances that can boost your resistance to infection. Plenty of other vegetables can add to your infection-fighting armory, including carrots and sweet potatoes. They are rich in beta carotene, which has an anti-inflammatory action and raises the rate at which white blood cells are produced. Other powerful allies include chile peppers, which thin nasal mucus; shiitake mushrooms, which aid white blood cell production; and ginger, which counteracts inflammation (ginger also has these other surprising health benefits as well). Many products on store shelves claim to boost or support immunity. But the concept of boosting immunity actually makes little sense scientifically. In fact, boosting the number of cells in your body — immune cells or others — is not necessarily a good thing. For example, athletes who engage in "blood doping" — pumping blood into their systems to boost their number of blood cells and enhance their performance — run the risk of strokes. Attempting to boost the cells of your immune system is especially complicated because there are so many different kinds of cells in the immune system that respond to so many different microbes in so many ways. Which cells should you boost, and to what number? So far, scientists do not know the answer. What is known is that the body is continually generating immune cells. Certainly it produces many more lymphocytes than it can possibly use. The extra cells remove themselves through a natural process of cell death called apoptosis — some before they see any action, some after the battle is won. No one knows how many cells or what the best mix of cells the immune system needs to function at its optimum level. Walk into a store, and you will find bottles of pills and herbal preparations that claim to "support immunity" or otherwise boost the health of your immune system. Although some preparations have been found to alter some components of immune function, thus far there is no evidence that they actually bolster immunity to the point where you are better protected against infection and disease. Demonstrating whether an herb — or any substance, for that matter — can enhance immunity is, as yet, a highly complicated matter. Scientists don't know, for example, whether an herb that seems to raise the levels of antibodies in the blood is actually doing anything beneficial for overall immunity. “Washing your hands is an extraordinarily good way of helping one from getting sick, but it’s something that we don’t always do very well,The FDA recently announced that washing your hands with plain soap and water is really all you need, and an antibacterial soap isn’t quite necessary or good for us in the long run. So find a soap that you love and remember these hand-washing techniques . Just 10 teaspoons of sugar—the amount in two 12-ounce cans of soda or carbonated lemonade—impairs the ability of white blood cells to deactivate or kill bacteria. Opt instead for a natural sweetener, such as one made from the stevia plant to boost the immune system. Try to limit calorie-free alternatives such as aspartame. Modern medicine, which once treated the connection between emotions and physical health with skepticism, has come to appreciate the closely linked relationship of mind and body. A wide variety of maladies, including stomach upset, hives, and even heart disease, are linked to the effects of emotional stress. Despite the challenges, scientists are actively studying the relationship between stress and immune function . For one thing, stress is difficult to define. What may appear to be a stressful situation for one person is not for another. When people are exposed to situations they regard as stressful, it is difficult for them to measure how much stress they feel, and difficult for the scientist to know if a person's subjective impression of the amount of stress is accurate. The scientist can only measure things that may reflect stress, such as the number of times the heart beats each minute, but such measures also may reflect other factors. Most scientists studying the relationship of stress and immune function, however, do not study a sudden, short-lived stressor; rather, they try to study more constant and frequent stressors known as chronic stress, such as that caused by relationships with family, friends, and co-workers, or sustained challenges to perform well at one's work. Some scientists are investigating whether ongoing stress takes a toll on the immune system. But it is hard to perform what scientists call "controlled experiments" in human beings. In a controlled experiment, the scientist can change one and only one factor, such as the amount of a particular chemical, and then measure the effect of that change on some other measurable phenomenon, such as the amount of antibodies produced by a particular type of immune system cell when it is exposed to the chemical. In a living animal, and especially in a human being, that kind of control is just not possible, since there are so many other things happening to the animal or person at the time that measurements are being taken. Eat a diet high in fruits and vegetables. In the quest for how to boost your immune system, proceed with some caution. If you are using these immune-boosting herbs and essential oils, remember that the products are extremely potent and should not be taken for more than two weeks at a time. Giving yourself a break in between long doses is important. Also, if you are pregnant, be cautious when using essential oils and reach out to your health care provider before doing so. Any time you are using natural remedies like plant supplements, it’s a good idea to do it under the care of your doctor or nutritionist. 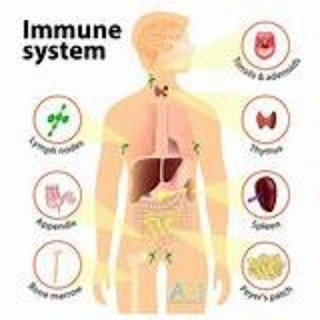 The immune system is an interactive network of organs, cells and proteins that protect the body from viruses and bacteria or any foreign substances. When our immune system is working properly, we don’t even notice it. It’s when the performance of our immune system is compromised that we face illness. Plants, herbs and minerals can be used to prevent and fight infections due to their antimicrobial and immune-boosting properties.